Patrizia Sandretto Re Rebaudengo at Matadero, Madrid. Photography by Benedetta Mascalchi. 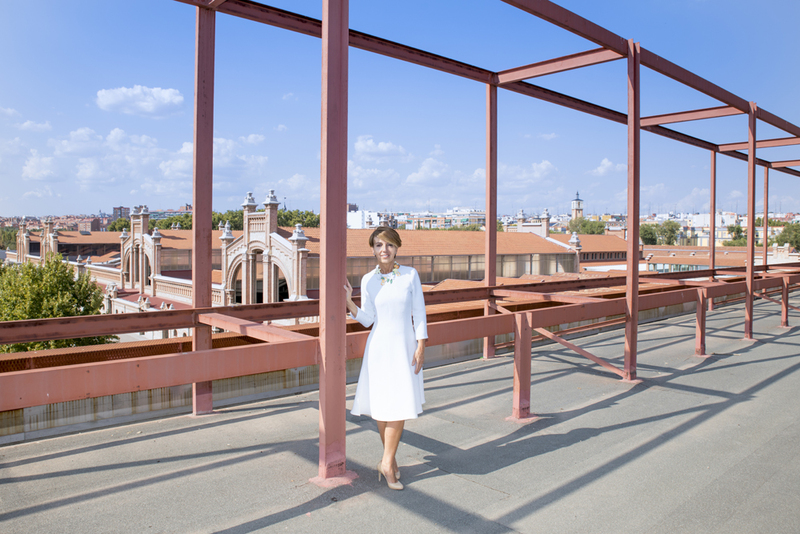 Collector and patron of contemporary art Patrizia Sandretto Re Rebaudengo (founder and President of Fondazione Sandretto Re Rebaudengo in Turin), is opening a new foundation in the Matadero in Madrid – a space which is owned by the city of Madrid. Constructed 1911, the former slaughterhouse in the Arganzuela district of Madrid is converted to an arts centre. The Fundacion´s venue will be the Nave 9 of the Centre for Contemporary Creation Matadero Madrid, renovation has been committed to architect David Adjaye. Following renovation, the Fundacion Sandretto Re Rebaudengo Madrid e is due to open on 2019. Patrizia Re Rebaudengo is an Italian collector, museum founder, and patron of contemporary art. This year she has been collecting for 25 years. She has one of Europe’s most important contemporary art collections, featuring around 1,000 works including recognisable names such as Maurizio Cattelan, Tony Cragg, Anish Kapoor, Sarah Lucas, Rosemarie Trockel and many more. The majority of the exhibitions staged at the Fondazione Sandretto Re Rebaudengo are of newly commissioned work. It’s in this way that the Fondazione serves more as a Kunsthalle than a private foundation.